Damage Doctor believes in training! Our MD Mark West believes you can never stop learning and that everyone can benefit from further training. To this end Damage Doctor has started advanced training courses for some of the services we offer. We have also started a training schedule for all technicians to complete SSSTS and First Aid training, among other things. To that end Mark would like to congratulate the following technicians on completing some of this training. 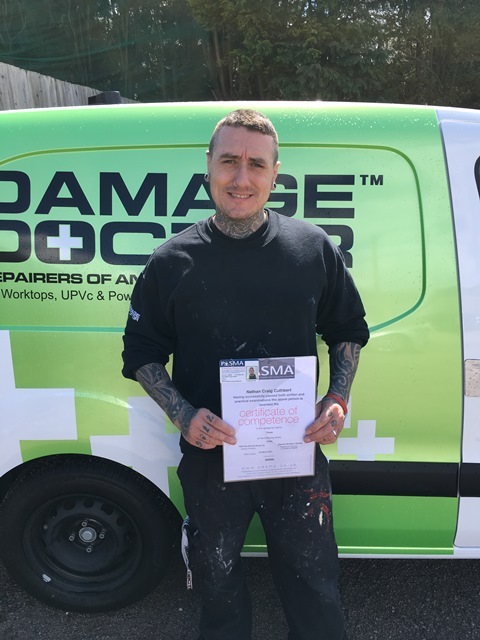 Well done to Nathan who recently passed PASMA training. 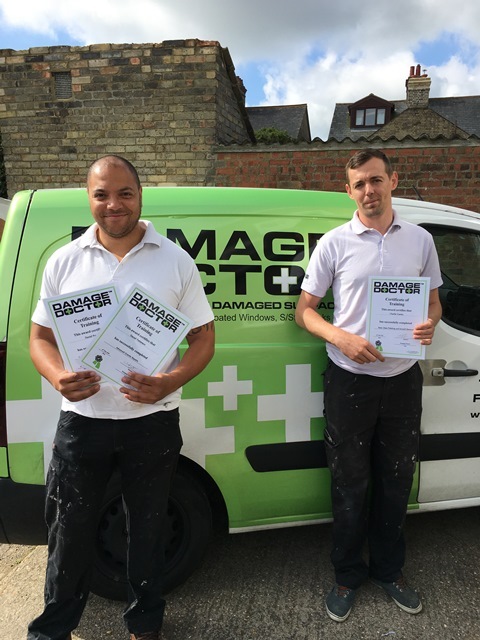 Well done to Dan who picked up his Basic Surface and Stone Repairs certificate, and to both Dan and Charlie who recently completed our Glass Polishing training. 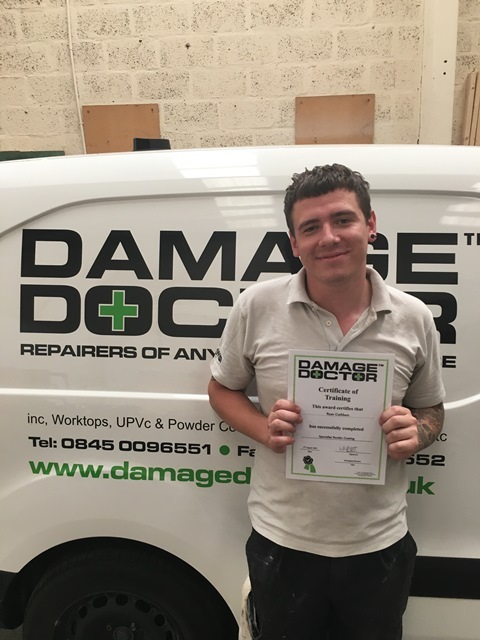 Well done to Craig who recently completed First Aid training. 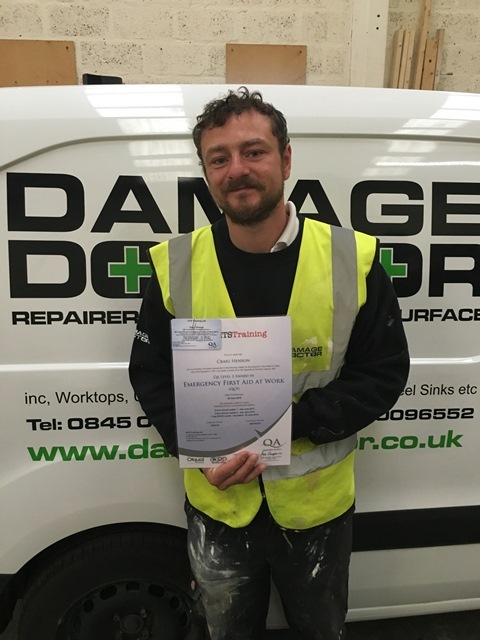 Well done to Ryan who completed our Specialist Render Coating training. And finally well done to our MD, Mark, who also attending the First Aid course with Craig and other technicians. 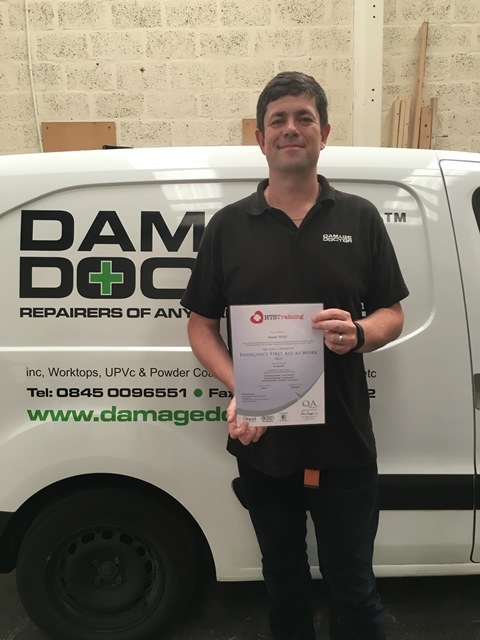 Mark is proud that Damage Doctor is driving forward the standards of our technicians and looks forward to posting more congratulations as they complete more courses. Damage Doctor is recruiting again!